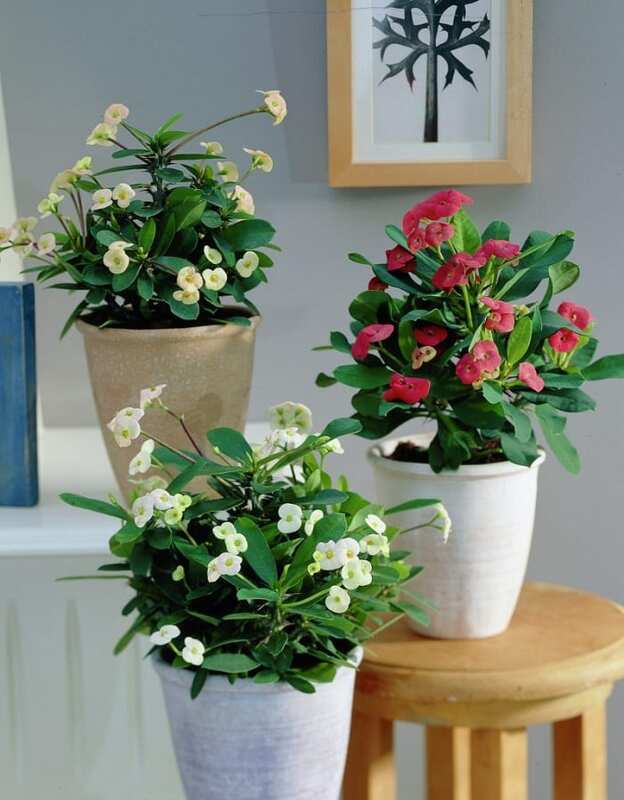 Not just for foliage you can also grow the indoor plants for their bright colorful blooms. 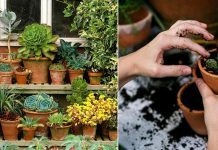 Here’s the list of 17 Best Flowering Houseplants you can try! 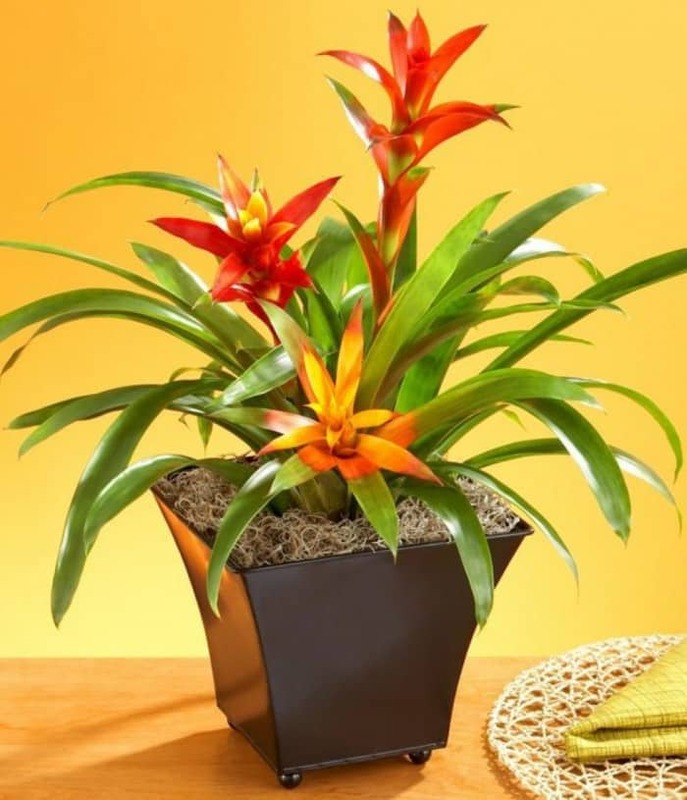 Known for their colorful foliage and long-lasting flowers, bromeliads can beautify your interior. They thrive easily without much care, and the best thing is that you can grow them in low light conditions as well. 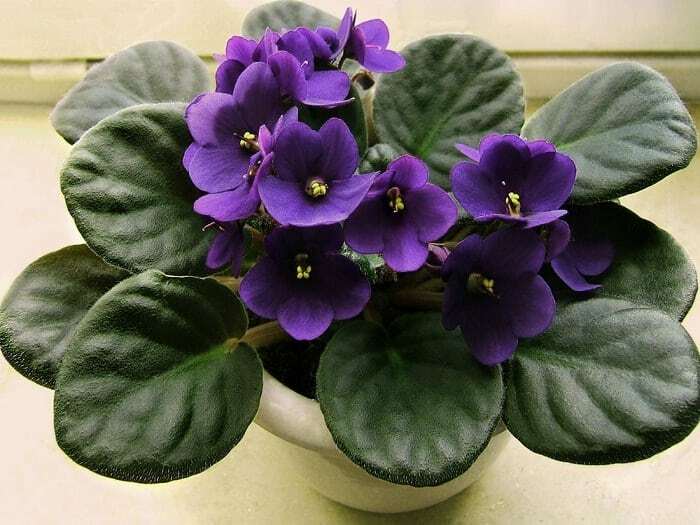 African violets are easy to grow flowering plants that can be grown indoors for their beautiful flowers and foliage, they prefer warm climate rather than cold. Keep these plants in a spot where they can receive filtered sunlight. 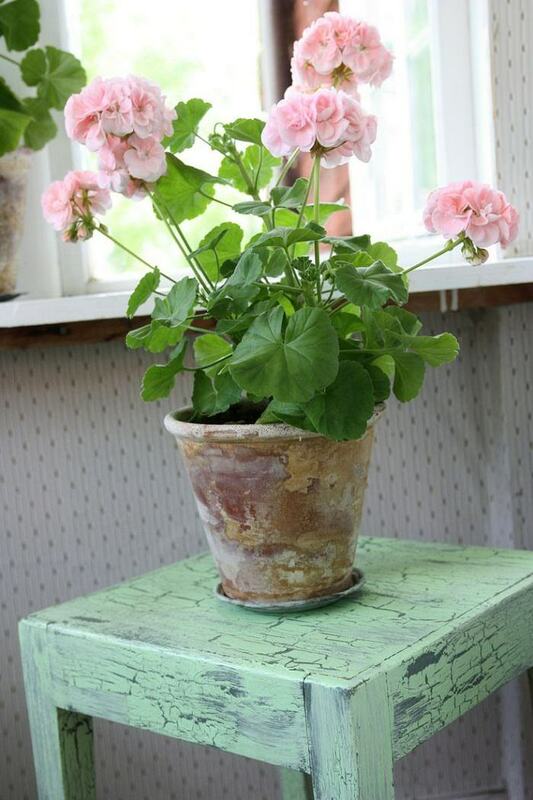 Scented geraniums with bright, colorful flowers become incredible houseplants. 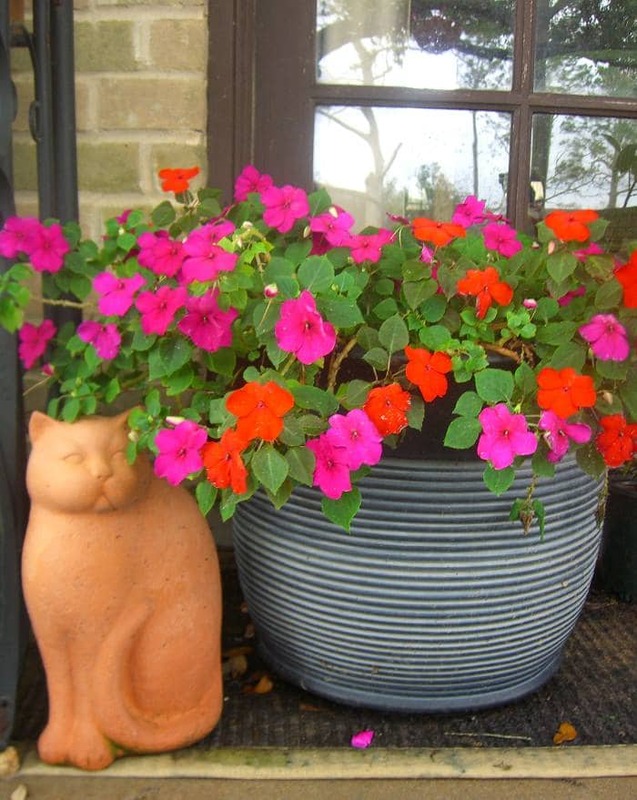 However, growing geranium indoors is not as easy as other flowering houseplants in this list. It requires a south or west facing window that receives ample sun and moderate watering. 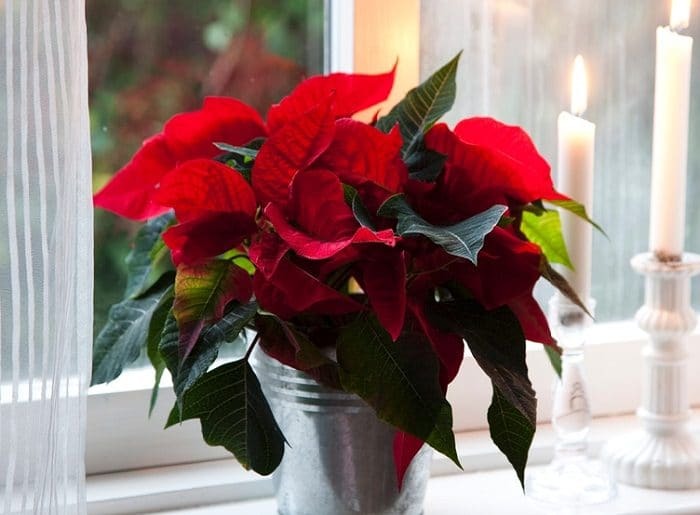 Growing poinsettias in your home can add a bright touch to your interior. Its multicolor bracts look more colorful than its flowers. This tropical plant requires, light, warmth, and protection from drafts to thrive indoors. If you want to grow a low-care flowering houseplant, grow peace lily. Inside your home, it can live without water for days. 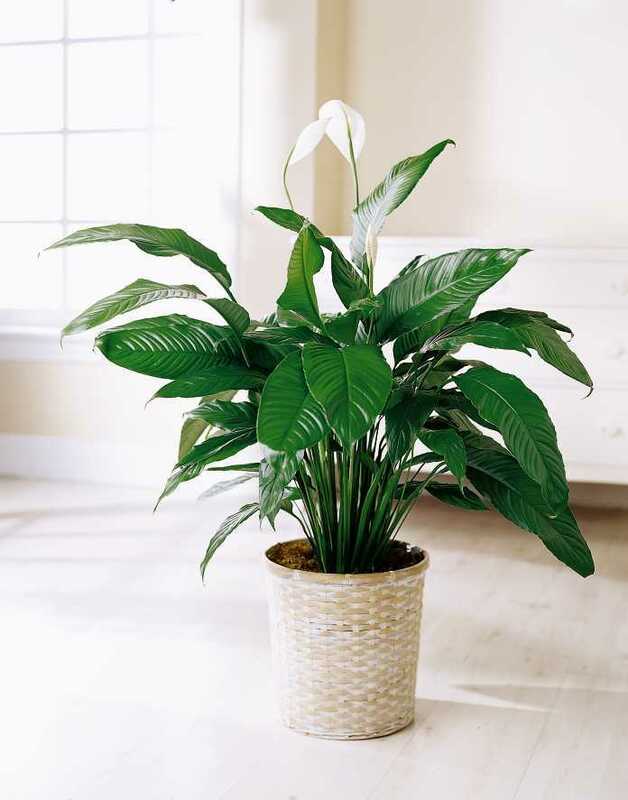 Peace lily’s beautiful white bracts and tiny flowers flourish in low lighting conditions. It also removes the toxins from the air, which is an added benefit. 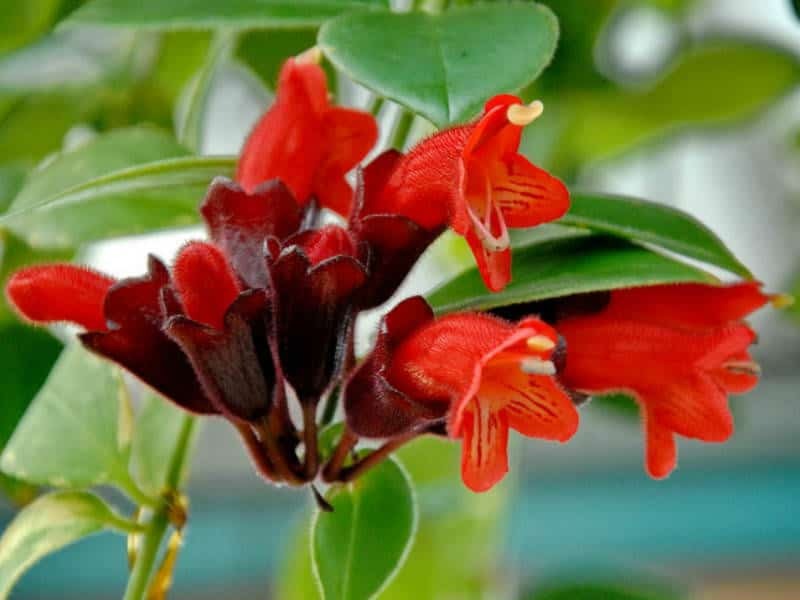 Although not commonly grown as a houseplant, lipstick plant can be grown indoors. 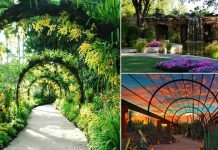 It requires a constantly warm temperature and humid surrounding to grow and thrive. Here is more on how to grow lipstick plant. Growing jasmine indoors is possible. If you keep this most fragrant vine in a bright spot that receives a few hours of direct sunlight, it’ll grow. The selection of jasmine varieties you want to plant indoors depends on the climate you live in. For cooler regions, Jasminum polyanthum is the one you can try, whereas in warmer regions most of the jasmine species will grow. Impatiens are beautiful shade loving annuals but in optimum conditions, you can grow them year-round as a houseplant. 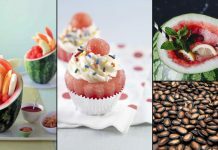 Maintain room temperature above 50-55 F and place the pot in a spot that receives bright indirect sun all day long, it would be better if you can provide direct morning sunlight too. 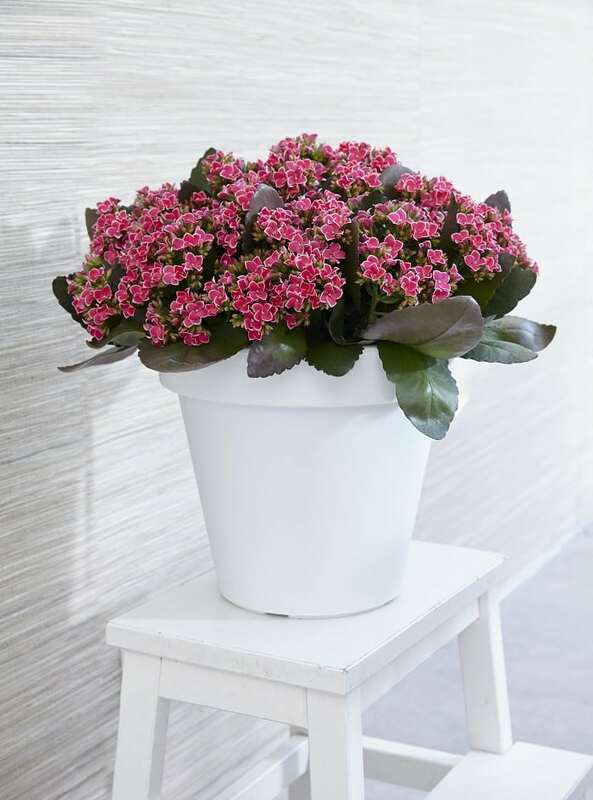 Kalanchoe is a tropical succulent, and it can be grown indoors. This flowering succulent comes in a variety of colors and has low watering needs. You can keep it near a window where it can receive a few good hours of sunlight in order to bloom. 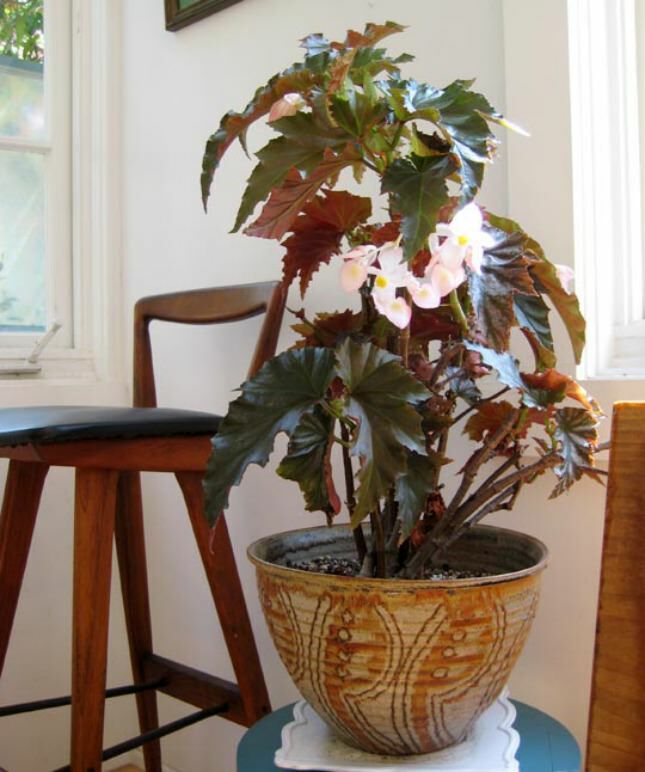 This beautiful flowering houseplant can adorn your house with showy purple foliage and white or pink flowers. Place it at a bright spot for abundant blooms and allow the soil to dry out between watering spells. Cape Primrose or “Streptocarpus x hybridus” is a relative of the African violet. If you keep the soil lightly moist and give it bright, indirect sun year-round, it will bloom continuously. Also, there are many new hybrid varieties available with bigger flowers, longer blooming time, and more compact foliage. 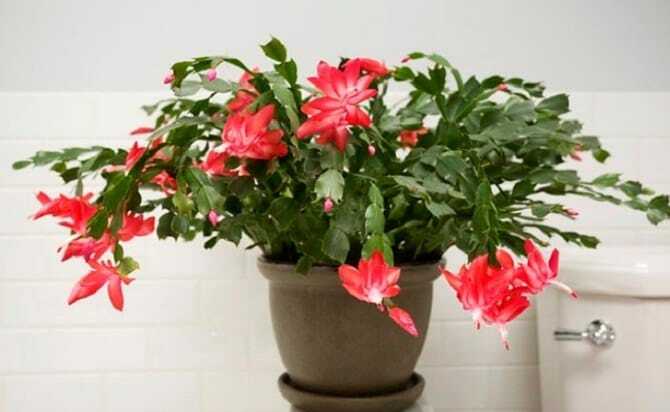 Christmas cactus is an old-fashioned favorite houseplant of many. When it blooms, it creates a warm atmosphere. Red, pink, white or orange: The colorful flowers can quickly brighten up any interior. If maintained well, it can even bloom again from one year to another for years. The Crown of Thorns becomes an exceptional houseplant due to its flowers and low maintenance. 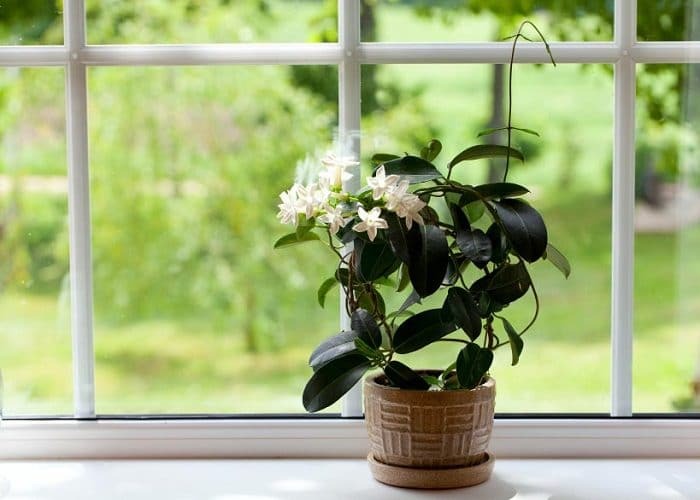 If you can provide a sunny window where the plant can be placed, it will grow happily ever after. 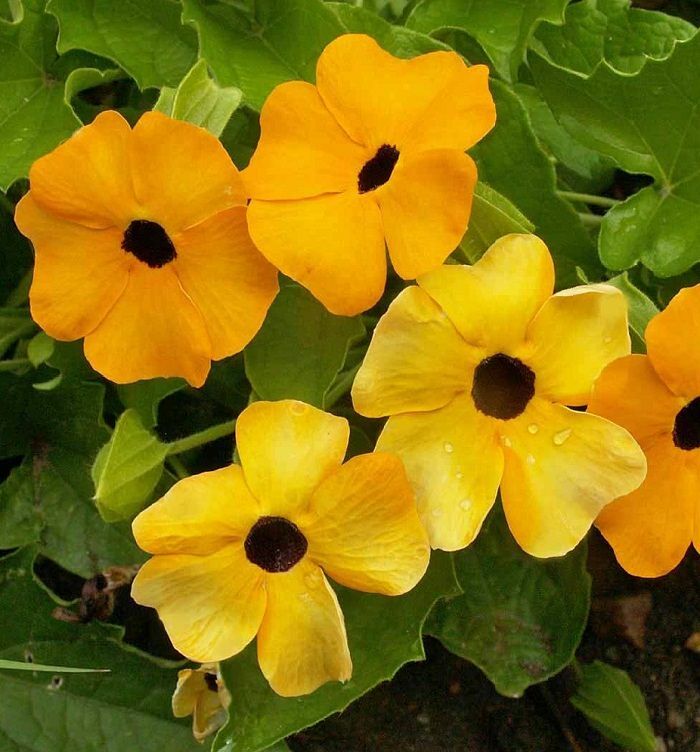 Black-eyed Susan vine can be grown indoors. Depending on your climate, this annual or perennial flowering plant can add a dramatic appeal to your rooms. 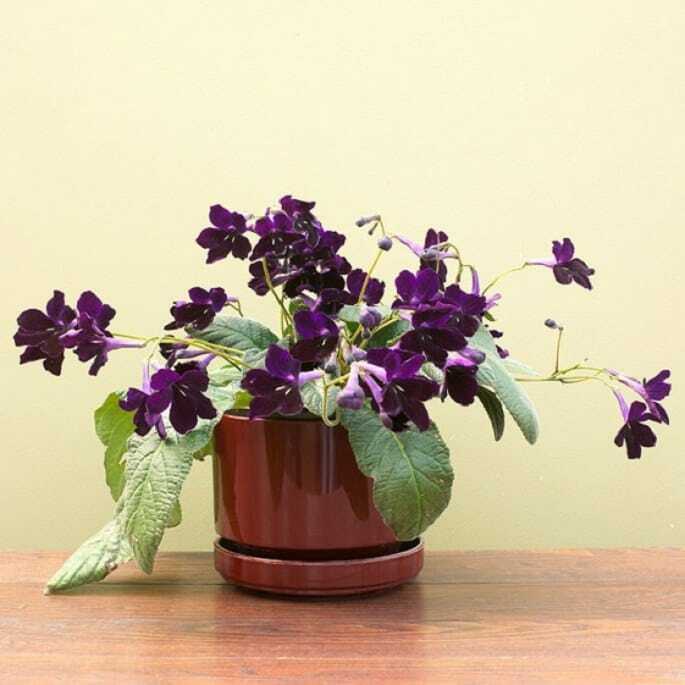 Keep it near a window, where it can receive plenty of sunlight. 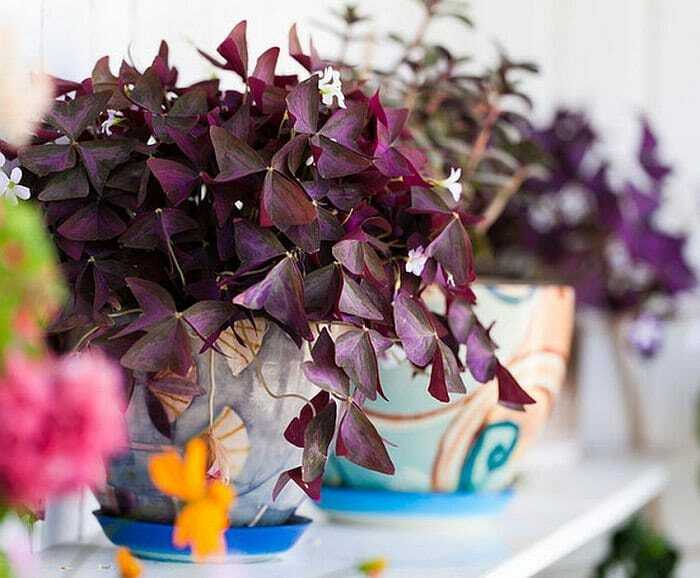 A cluster of purple, lance-shaped leaves makes purple heart an impressive houseplant with or without its pink flowers. This beautiful trailing indoor plant can be grown in small colorful pots or hanging baskets and can be used as a table accent. 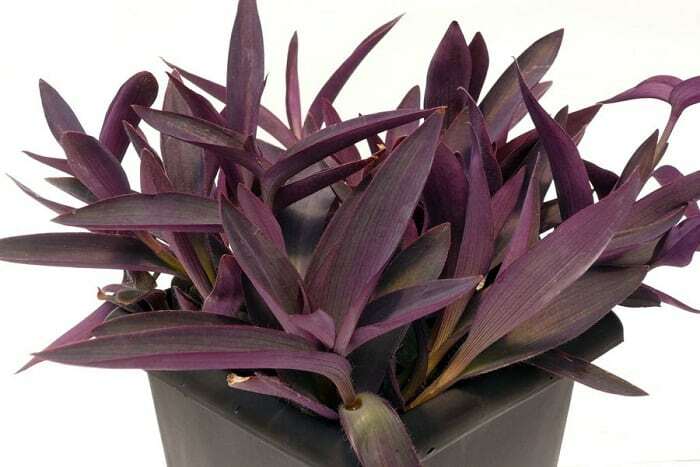 Keep your purple heart (Tradescantia pallida) plant in a spot where it can receive a couple of hours of direct sun. Orchids are different from other houseplants. They’re epiphytes. 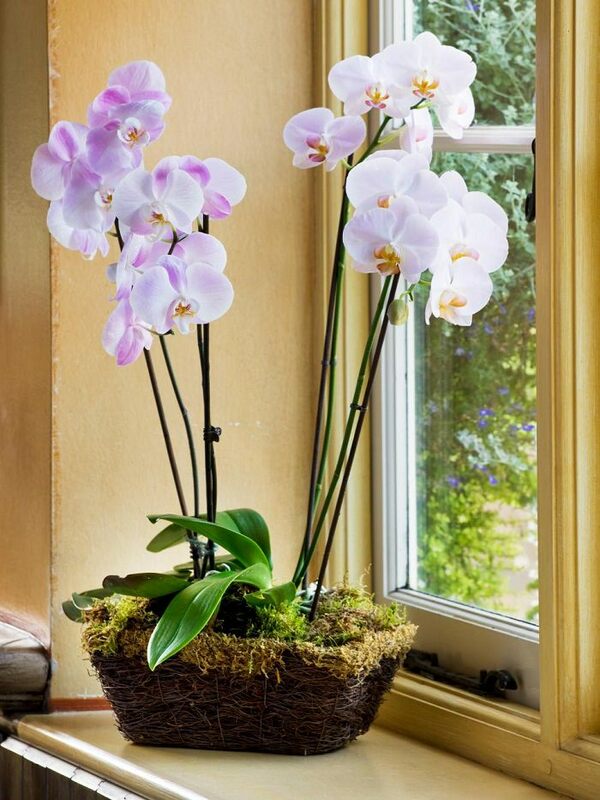 Unlike ferns, philodendrons, palms and Swedish ivy, orchids do not grow in your regular soil. Putting an orchid in regular potting soil is actually one of the best ways to kill it. You can learn more about growing orchid indoors here.